How's the audio latency? I bought a different extractor to connect between Apple TV 4k and my stereo (Sonos Play 5), but there's a noticeable audio delay. BEST ANSWER: There isn't any. It's actually the reason I ended up with this one. Everything passes though with no issue. The only thing is if the source (like the apple TV) changes from 2CH to Surround, there is a 1 second pause of no audio (could also just be my older receiver). I use it to extract audio to my stereo system. There is a slight delay if I have the TV volume on at the same time as my stereo system causing an echo effect. All I do is turn down the TV volume. i had no latency issues with this unit. I used the hdmi in and optical out to a Polk sound bar. Hdmi out to a Sony tv. You’ll get a delay with a Play 5 no matter what, they’re not made to sync with tv audio like a playbar or playbase is. No latency that I can see or feel. Setup is Apple TV 4K interfaced w/ old Bose Lifestyle system. We did not have noticeable audio delay. This product worked fine. the sound extracted on my setup had no latency. Will this unit pass through the audio over the HDMI cable to the TV AND ALSO output the audio to the line out or optical jack? Or does it strip the audio from the HDMI output? BEST ANSWER: I have this unit so I can watch and listen to my TV. When I want better quality sound, I pipe the audio out from this device to my stereo system. It doesn't strip out the audio from the hdmi signal, it just sends a copy of the audio out the line out jack or optical. The unit does not strip the audio from the HDMI stream. It simply extracts the 5.1 audio stream and outputs it to the optical output OR extracts the stereo stream and outputs it to the analog mini jack. We have only used this item with the Apple TV 4K. Audio passed through the HDMI connection to an AVR and also passed to the whole house distributed audio system via the line out. Will this output to both the optical out and headphone jack simultaneously or is it and either/or proposition? BEST ANSWER: It’s either or not both. The audio signal is not stripped hoewever. This is not much of a limitation. 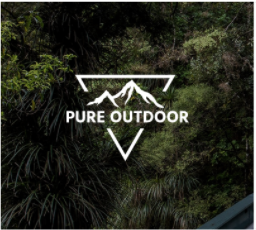 Most people would want optical or headphones. 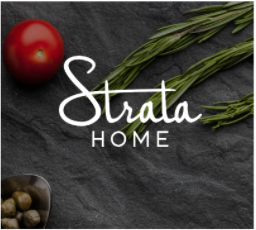 You can only output to one source at a time--HDMI (TV), optical (bitstream), or 1/8" stereo (PCM). I have never tried that simultaneously . i am not sure. I use only the optical. Will I be able to use this together with an HDMI extender? Will there be any signal degradation if used together? BEST ANSWER: As a consumer, I'm not sure but the output on the HDMI audio extractor seems very strong and clear. It drives my 65" OLED TV wonderfully on a 10ft high quality HDMI cable. I think more importantly, you should check whether or not the HDMI extender you are going to use will support 4K 18Gbps and HDCP 2..2 over the distance you are planning to cover without signal loss. This unit was used in-line prior to the video baluns for HDMI extender to extract the analog audio. There was no degradation in signal on the HDMI video. I have used these with HDMI extenders with no problem. There is no noticeable signal degradation. I need to extract Atmos sound to the sound bar, but since this doesn't have a HDMI audio out, am I correct that it won't work? Are there any options to separate 4k 18gbps and Atmos/DTS:X? BEST ANSWER: So there’s a couple options that look similar to the pic of what you were inquiring. First, there IS an hdmi out, must be on the other side of the box that the pic doesn’t show. But if you zoom in, you can see the light for “hdmi out”. So I’ve used these quite a bit to get 2ch analog audio out on blurays for distributed audio. Where you ask about ATMOS, I see there’s PID 24478 that looks like it holds the 18gbps but it doesn’t say if it’s 5.1 or 7.1! The pid 13348 mentions 7.1, but only 10gbps. 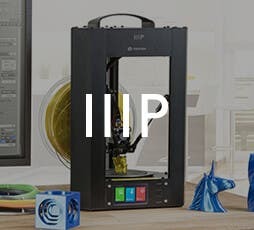 Monoprice has amazing support, but it’s only on their chat deal on their website. But ask a few of those more technical questions with them to figure out the best option. If your soundbar has HDMI input for audio, then you are correct. 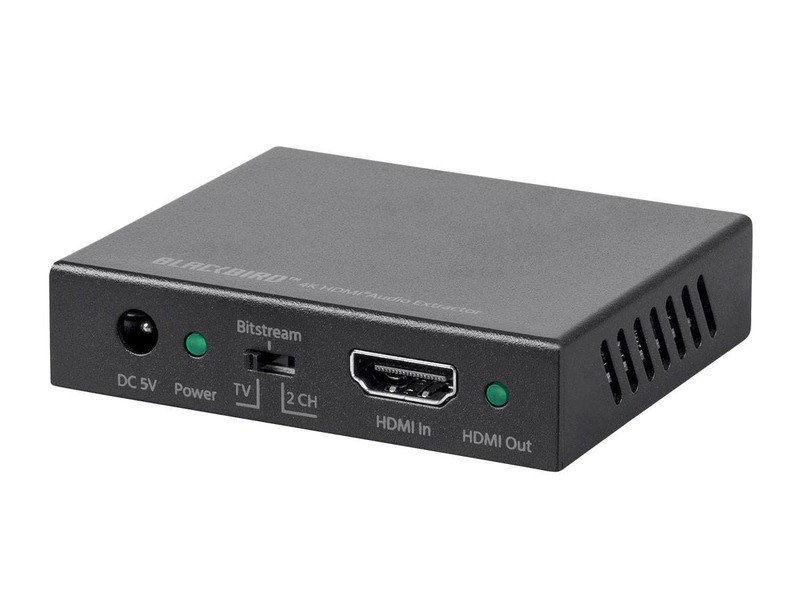 The whole point of this product is to extract audio from HDMI to optical/Toslink. It's otherwise hard to answer your question without more information. I wanted to go out of my SACD player via HDMI-then can i go via Optical to my Amp? (Amp has optical in but no HDMI) Will it lose any quality of the SACD? BEST ANSWER: It will pull the full audio signal out of HDMI and send it to the optical out in the Blackbird. I get full surround processing in my setup (no downconversion to bitstream, although that's an switchable option). But I don't know why you wouldn't just go SACD optical/toslink or coax straight to your amp. I've NEVER seen an SACD deck that had HDMI, but not a toslink or coax output. SACD won't pass through Optical. 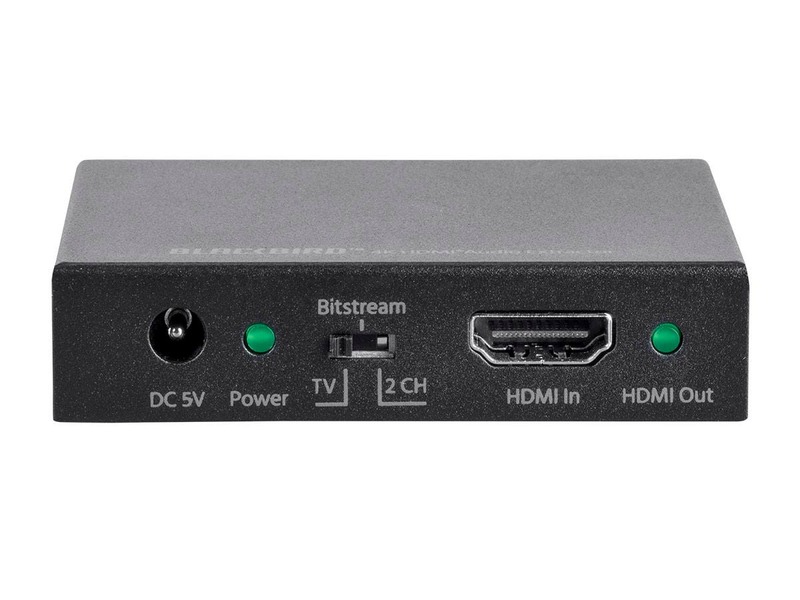 Does the "Blackbird 4K HDMI Audio Extractor, 18Gbps, HDCP 2.2" Product#24278 support down mixing 7.1 surround, Dolby TrueHD , DTS-HD, or other HD audio formats to Stereo, or will there just be no sound with the 2CH setting when such a source is used? BEST ANSWER: There will be no sound. Will this pass 7.1 from the Apple TV HDMI to my SPDIF-only receiver (which takes 7.1 of course)? BEST ANSWER: I haven't found any content on my Apple TV with 7.1, but it supports TrueHD which is usually 7.1. So I'm going to say yes. 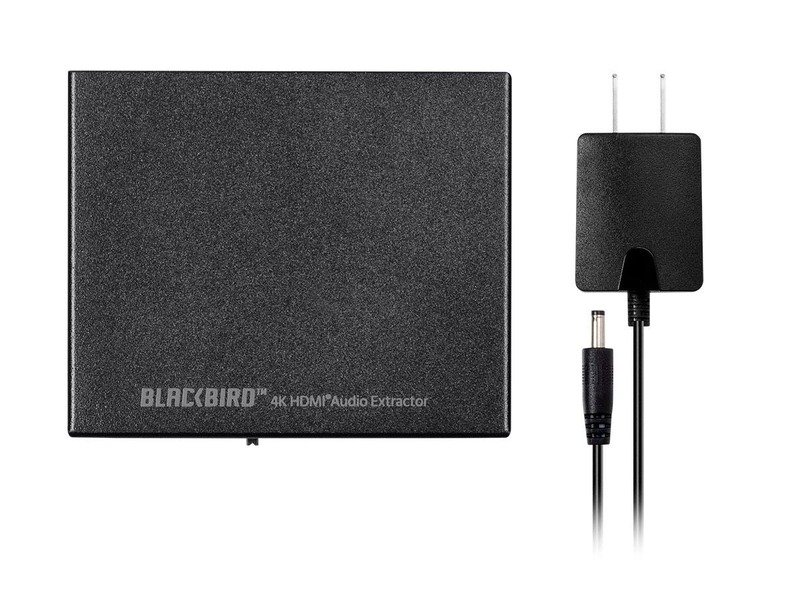 Does the "Blackbird 4K HDMI Audio Extractor, 18Gbps, HDCP 2.2" Product#24278 pass through the audio signal to its HDMI output port? Or is the audio signal actually removed from the HDMI output? This item would not have a setting that would keep audio from passing through the HDMI output cable. Has anyone tried this with Amazon Fire TV or Chromecast and had audio from the L/R output? Thanks. BEST ANSWER: I tried it with a Fire stick 4K...It would pass video without a problem, but there was no sound. It worked fine with a cable box, Xbox One , and Sony Blu-Ray using the same cables/inputs. BEST ANSWER: From the manual: "TV/Bitstream/2CH Switch: Allows selection of the audio format. The TV option sets the audio output to that of the connected display. The Bitstream option passes the audio output from the video source device and the 2CH option sets audio to 2-channel stereo." There's no mention of up or down conversion; just straight pass-through. Is this unit compatible with Dolby Digital Plus? BEST ANSWER: I can confirm the unit can extract Dolby Digital 5.1 (AC-3) from and Apple TV 4K unit via HDMI. I believe the Apple unit can output both AC-3 as well as E-AC-3 (7.1). I have no data on E-AC-3. Is it ARC compatible? i.e., will it pass ARC from output through the input? Can it decode the ARC audio signal or just the signal on the input? BEST ANSWER: Not ARC compatible. Only decodes from the input side. Is an HDMI output connection required to receive audio at the analog and optical outputs? A couple of the other models have this feature. The extractor needs to be connected to a Sink device in order to operate normally. Thanks for asking. On the pamphlet that came with this, under specifications, it lists LPCM 5.1 under Optical Audio Formats. Is that a mistake, or has anyone been able to get that format to work? From what I've read on the internets, S/PDIF can't do LPCM 5.1, or any uncompressed surround formats. Is this backwards compatible with HDCP 1.4 for playing 1080P content? The HDMI signal path will be: Roku Ultra 2018 > This blackbird device > BenQ projector (HDCP 1.4). So if I plug a hard drive into the roku with a 1080p video on it, will the video make it to the projector? and if the video has AC3 or DTS 5.1, it will come out the blackbirds optical out, correct? 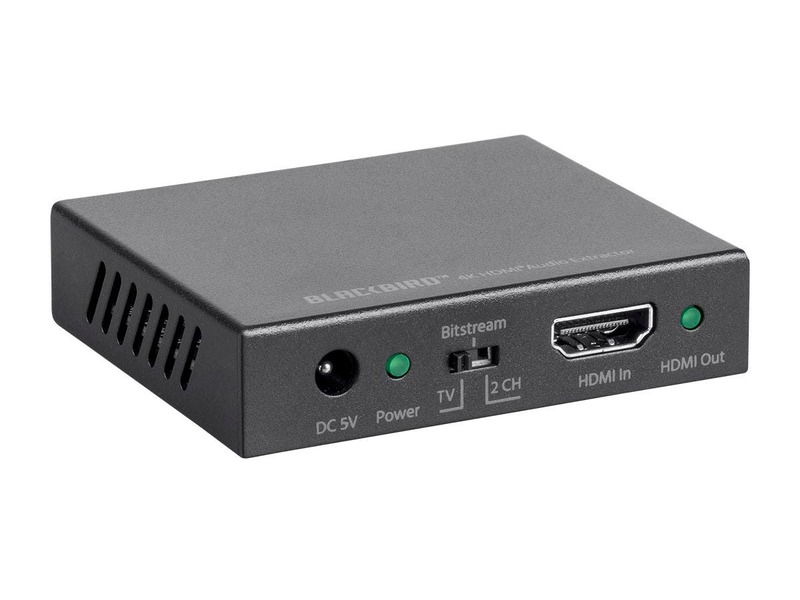 Is this extractor backwards compatible with HDCP 1.4 for playing 1080p content? The HDMI signal path will be: Roku ultra > This audio extractor > BenQ projector (HDCP 1.4). If I plug a hard drive with 1080p videos on it into the roku, Will the video make it to the projector? Also, if the 1080p video has either AC3 or DTS 5.1, it will come out of this extractors optical out, correct? Will this extractor support HDMI cables over 30 feet? I have a splitter at the source, then a 30' run to the TV/stereo. Will this pass thru dolby vision video from apple tv to lg oled or equivalent dolby vision products? 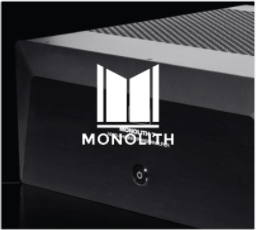 WOULD THIS PRODUCT ALLOW SIGNAL FROM HD 4K CABLE BOX VIA SPDIF TO A PROCESSOR WITH OPTIC INPUT?WOULD THIS PRODUCT ALLOW SIGNAL FROM HD 4K CABLE BOX VIA SPDIF TO A PROCESSOR WITH OPTIC INPUT? I have a Sony receiver but no hdcp 2.2 and I also have HDMI will the blackbird give me hdcp 2.2 ? Performs as expected. Great 2 channel audio extractor. This extractor works just fine when either (a) the display already supports audio or (b) no display is connected (in which case the extractor will generate a dummy, audio-capable EDID). However, if you connect a display that doesn't support audio (e.g. a computer monitor), the extractor will pass its EDID through untouched (no matter the position of the switch) and the source will refuse to output audio, since it won't see an audio-capable sink. There are competing products that support full EDID manipulation (i.e. audio injection into a non-audio-capable display's EDID) that are much cheaper, smaller, lighter, and don't even require external power. Good 4 the $$ but: latency issue. inexpensive plug & play solution, worked well overall BUT: noticeable latency issue thru 3.5mm output jack. running a Blu-ray movie to a monitor w/extracted audio routed thru room sound system receiver; audio thru room system lagged monitor sound enuff 2 notice. Good 4 the price, but I'll go to a (higher-priced) pro product as soon as I cn afford it. Easy to setup, just plug and play. Really good audio quality to my active speakers. Well defined sound with big soundstage and clear bass. Everything is good but one thing, there is no volume knob or a way to control the volume of the sound. It is very loud even at the lowest volume on my active speakers built-in volume setting. Otherwise a great product! It did exactly what I wanted to do, split hdmi video/audio to hdmi video to tv and optical audio to Sound bar. No problem with picture and sound in sync. Works well enough but does not support Dolby Vision 4k 60hz Gamma 2.2 pass through from an Apple TV. Absolutely fantastic. We had a device where the audio out ceased to work, so we just intercepted the audio with this device. Worked like a charm! Good 4k UHD, HDCP 2.2 audio extractor. This audio extractor is one of the best for HDCP 2.2 and 4K UHD. The only thing I wish is instead of the 1/8" stereo jack, that it would be separate RCA jack, one for the left channel, one for the right channel. That way I can use my own interconnects, rather than buying a 1/8" stereo mini to RCA male adapter cable. The video passthrough is excellent, although I have not tried using the output with an AV preamp or receiver. The nice thing is it seems to improve video quality from 1080p to 4K. I don't know why, but visually it seems like it amplifies the HDMI output signal a bit. My primary reason for buying this was to get an optical audio out from my Nintendo Switch to my Astro A50 headset. That works in a very limited fashion. The Switch outputs its audio in LPCM 5.1 which is an uncompressed multichannel format. Apparently, that bandwidth is too great to support all the channels over an optical audio cable, so I only get left and right audio channels to my headset. Center channel and rear channels don't make it through, so using the headset means I miss out on some of the audio. Since this only provides passthrough audio, there's no conversion of LPCM to Dolby Digital or DTS (which are compressed formats that are supported by the bandwidth constraints of an optical audio cable). The fact that this device doesn't work for my case isn't its fault, but it would help if there was a chart on the description page that listed which audio formats could be successfully extracted. If you can't change your surround source audio to Dolby Digital 5.1 or DTS 5.1, then this device won't work for you. I have the HDMI out going from the Blackbird to my audio receiver, so the video and audio that comes out of this device over HDMI looks and sounds exactly the same as if I weren't using it, so it didn't break anything in my A/V setup. 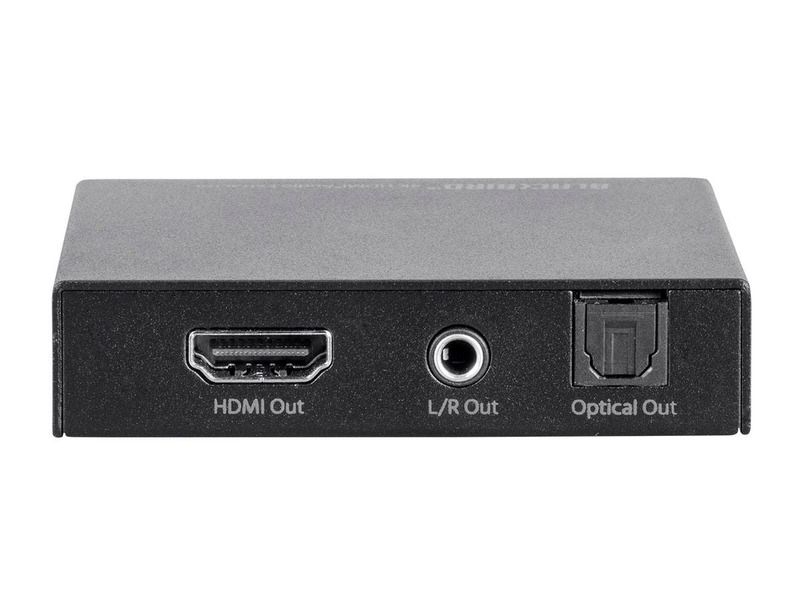 The HDMI In port on the device is mislabeled as "HDMI Out", so it appears as if there are two "HDMI Out" ports. The diagram in the instruction manual is correct, however, so use that to figure out which HDMI port is the input.